Maungdaw, Arakan -- On October 14, after 12:00 am, some military personnel along with some Rakhine civilians raided the market in the Ngakura village tract. They looted all the goods that they found. In the early morning, the military personnel called all the shopkeepers and asked them to shift their goods from their shops to other places wherever they wanted. As the shopkeepers came to their shops to shift their goods, they found no goods inside their shops and all the doors were broken. 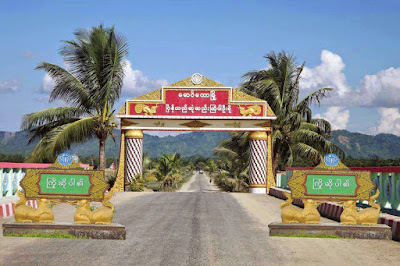 In Laung Don village tract, the military personnel are still said to have been roaming as of at 1 am today, October 15th. 1) Abul Fayaz, an NGO staff, son of Shwe Thar, a high school teacher. 4) Karim Ullah father of 2) and 3). 5) Two Rohingyas from Buthidaung township who hold legal travel authorization form called ''Form 4'', needed to travel from one township to another for Rohingyas.